Purina® Organic sets the bar with its new line of USDA-certified Organic poultry feeds, each formulated to be a complete feed and made with non-GMO ingredients. Organic Starter-Grower Crumbles A nutritious, wholesome complete feed for young laying chickens from hatch to laying age (18-20 weeks). This complete feed is certified organic by the USDA and is made with non-GMO ingredients. Purina® Organic Starter-Grower feed will provide your birds with the proper levels of energy, protein (18%), vitamins and minerals that are perfect for a strong start and early hen development. Organic Layer Pellets or Crumbles Purina® Organic Layer Pellets or Crumbles provide a balanced and complete diet with 16% protein for feeding organic laying hens. This product has been certified organic by the USDA. It is made with non-GMO ingredients that have been grown without the use of pesticides and fertilizers. Organic Scratch Grains Purina® Organic Scratch Grains Poultry Feed encourages natural pecking and feeding instincts and is an ideal choice for supplementing organic layer diets (no more than 10% of the total diet). Our recipe is certified USDA Organic and contains no GMOs. This simple formula contains no animal by-products, no fillers and no artificial preservatives. 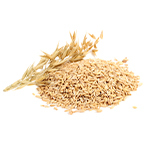 Holloway's stocks cracked corn, whole oats and many other quality, natural grains. Grain is an original “natural food,” a vital source of the nutrients animals need for life. 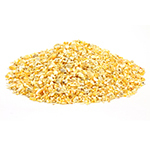 Quality, Natural Cracked Corn is one of the most energy-dense feeds and contains a high content of carbohydrate. Quality, Natural Whole Oats are a good source of energy and contain fats, starches, and a good percentage of protein (11-13%). From starting chicks to growing market birds and laying hens, you can trust Home Grown® poultry feeds to provide proper nutrition for the overall health of your flock. Only fresh ingredients, carefully selected by people who care about producing the highest quality feeds, go into each bag. Home Grown® Starter/Grower 20% Crumbles is for raising birds that will be physically and physiologically ready to produce eggs at 18-20 weeks and 20-24 weeks for ducks and geese. Home Grown® Layer 16% Crumbles and Pellets is a versatile, complete feed for laying chickens, ducks, and geese with protein and energy balanced for optimum egg production. Purina takes "natural" to a whole new level by using only the freshest, highest quality sun-grown grains and plant proteins to give your birds the healthy goodness and fresh taste they deserve every day. It's superior nutrition - without any added animal proteins or animal fats - to help you raise your birds the right way. Start & Grow® Non-Medicated Crumbles Optimum nutrition for raising laying chicks from hatch to laying age (18-20 weeks). This complete feed with 18% - protein and quality nutrients is perfect for a strong start and early hen development. Formulated with prebiotics, probiotics and yeast to support optimum digestive health and immune function. Layena® Crumbles and Pellets Optimum nutrition for healthy birds and nutritious eggs. A 16%-protein, high-calcium ration formulated with prebiotics, probiotics and yeast for top-producing laying hens once they reach 18 weeks of age. Now with NEW Oyster Strong System™ for strong shells. Oyster shell provides another source of calcium when the hens need it most, at night when egg shell formation is rapidly occurring and dietary sources of calcium are limited because the bird is not eating. Layena Plus® Omega-3 Pellets Optimum nutrition for healthy birds and nutritious eggs. A 16%-protein high-calcium ration fortified with Omega-3 rich flaxseed oil formulated for top-producing laying hens once they reach 18 weeks of age. Flock Raiser® Pellets A 20%-protein nutrient-rich ration that provides starting, growing and finishing nutrition for broiler/meat bird or a mixed flock of chickens, ducks and geese from hatch until laying age (18-20 weeks chickens, 20-24 weeks ducks; geese start laying the spring after they were hatched) and for turkeys from 8-10 weeks until laying age of 30-32 weeks.Optimum nutrition for healthy meat birds and mixed poultry flocks. Formulated with prebiotics, probiotics and yeast to support optimum digestive health and immune function. Scratch Grains SunFresh Grains A blend of high-quality grains to be fed as a supplemental treat to adult chickens, ducks, geese and turkeys to encourage natural pecking and feeding instincts. Black Oil Sunflower Seeds are by far the best sunflower seed, with a high oil content and softer shell. Chickens LOVE sunflower seeds! Whole Grain Enrichment Supplement for free-ranging poultry and game birds. Encourages natural pecking instincts to help reduce cannibalism, contains oyster shell and grit, available in a 25 pound block. Grit is crushed granite, which helps support healthy digestion in chickens, turkeys and game birds. Oyster shell is high in calcium, which helps support egg shell production. Hentastic Dried Mealworms are packed with over 53% protein which helps to keep your chickens healthy and active. Mealworms can be fed on their own, or mixed in with your favorite poultry food.